Many consider the last few weeks of the school term to be filled with films and a general winding down of studying. However, if you choose to take your child out of school early, you will most likely face a fine from the school. This leaves parents in an incredibly difficult position, as changing your holiday dates a matter of weeks could dramatically increase the price of your trip. Below we’ve put together all the information you need. 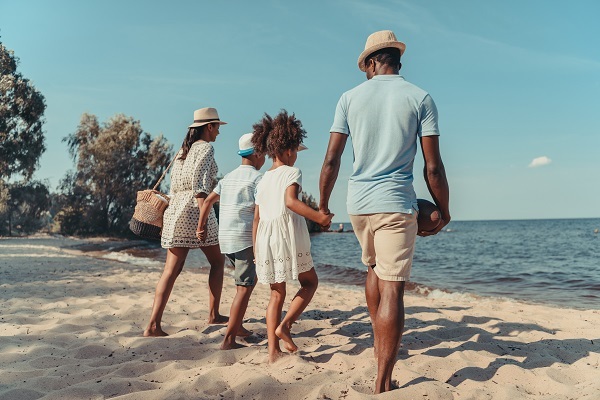 Term Time holidays has been a long-standing debate for many years, but it was thrown further into the spot light in 2017 when Jon Platt fought a long running legal battle. Mr Platt was fined after taking his child out of school for a holiday, but he argued that her overall attendance at school was excellent, and so he had not done anything wrong. At first Mr Platt’s fight was upheld by the court, but was later overthrown, and he was ordered to pay the fine. Since then and following such overwhelming support for Mr Platt, the Isle of Wight Council has approved plans to reduce the summer holidays by one week, adding an extra week to the autumn half term instead. This change is due to take place in the 2019/20 academic year, following steps taken by the Brighton and Nottingham Councils. Despite the threat of fines, information from www.gov.uk shows that the percentage of children absent due to a family holiday has risen since 2015/2016 to 16.9% from 14.7%. The fines start at £60, raising to £120 if not paid within three weeks and is per parent, per child. So, if you are a 2.2 family and go away for two weeks, you could potentially end up paying out £240 in fines. However, when considering the price hikes during summer holiday time, it seems that some parents are happy enough to pay this fine, even budgeting it in as part of their holiday costs. Families are also saying it is in unfair that England seems to be the only Isle in the United Kingdom who have this ruling. Private/independent schools are able to set their own attendance rules. Headteachers in Wales are allowed to authorise time off in certain circumstances. In Northern Ireland parents are not fined for unauthorised absences but can be referred to the Education Welfare Service. We did some independent research to understand the seasonal price differences offered by top holiday companies and found some incredible differences for the exact same holidays. As you can see from our research, even if you budget in the fines, it is considerably cheaper to go away during term time. This poses the question – should the travel industry lower their prices or should schools be less strict? Or, could councils follow the likes of Brighton and Nottingham, by staggering term times, so there is no set ‘holiday time’ for all schools? They are also able to fine you if they believe you have taken your child out of school for a holiday and said they were ill. There is also no right to appeal the fines as the headteachers decision is final – so if you don’t pay a fine – you may end up in court which carries a fine of £1,000 per parent per child.